Established in 2003, the Florida Medical Manufacturers Consortium (FMMC) strives to unite, promote, and grow Florida’s Medical Device Industry and enhance the business success of its member companies. To that end, every year the Consortium hosts a Symposium to allow for industry networking, the expansion and sharing of industry knowledge and expertise, and to update its members on advocacy activities. In the spirit of expanding industry knowledge and understanding, the FDA joined the FMMC Symposium and shared information on 2013 FDA program alignment charge and its goal to “…Modernize and strengthen the FDA workforce to improve public health response.” Blake Bevill, Division Director of the FDA’s Office of Medical Device and Radiological Health Operations (OMDRHO/Division 2), shed light on the new organization and how to navigate and communicate with the OMDRHO. Florida finds itself in Division 2, and the state’s Medical Device companies find themselves facing a changing roster of FDA contacts. Medical Device companies will also find the need to communicate to the FDA differently as well; the FDA can no longer handle the volume of paper coming to their office and all communications are to be electronic going forward, even for those events already in process. Mr. Bevill also shared updated FDA training activities, including how the FDA is partnering with Industry for this training. Finally the FDA focused in on two laws that will affect all Medical Device organizations very soon: the Food and Drug Administration Reauthorization Act (FDARA) and the 21st Century Cures Act. FDARA was signed into law in August of 2017, reauthorizing, amending, and extending drug and medical device provisions scheduled to be sunset. Specifically, it reauthorizes the Medical Device User Fee Amendments (MDUFA) for the third time, providing critical resources needed to ensure the safety and efficacy of medical products for Americans. Additionally, it requires the FDA to establish a uniform process for routine inspections that include pre-announcement of routine inspections, estimation of inspection timeframe, the opportunity for advance communication and records requests, and regular communication during the inspection in regard to inspection status. On the Communication front, FDARA also includes a new statutory requirement for the FDA to provide feedback to the organization on the firm’s Form 483 corrective actions upon receipt of a timely request. Response to the request must occur within 45 days, however it is important to note that the feedback is nonbinding. Industry has some new guidance as well from FDARA. For example, if a company refuses, delays, denies, or limits an inspection, its devices will now be deemed ‘adulterated.’ The postponement of the start of an inspection, or denying access to requested documents or personnel for an unreasonable amount of time, can now constitute a delay. The discontinuation of manufacturing, disallowing direct observation and prohibiting photography during inspections without reasonable explanation, will be considered limiting an inspection. As a whole, FDARA will help the FDA continue to fulfill its important public health mission, to improve public health. The 21st Century Cures Act aids in the achievement of this mission as well as it was designed to help accelerate medical product development and to more quickly and more efficiently bring new innovations and advances to patients who need them. The FDA is working with industry and patients to improve patient access to new and innovative treatments more quickly without compromising quality. By capturing the voice of the patient, industry, regulators, and government, treatments are able to get to market more quickly, thereby improving the lives of the patients that use them. FMMC has actively been involved in this process and will continue to support industry innovation and safety. 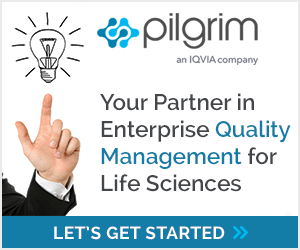 This e-book is your roadmap to address quality and manufacturing challenges in Life Sciences.